United Action for Children (UAC) is a community based Non-Governmental Organisation based in Buea, South West Region, Cameroon. UAC is a non-profit, philanthropic, and non-political organization. It commits itself to the development of a caring and sustaining society for children and young people. The organisation was created in 1996 in response to concerns about children’s education and development in the South West Region. With the help of local staff and international volunteers, UAC has grown substantially over the past few years. UAC currently runs many successful programs that have a great impact on Buea and Mamfe’s children and the surrounding communities. UAC’s primary goal is to develop an enabling environment for the effective growth and development of children and young people through innovative activities and programmes. In particular, the child resource has remained untapped in the drive to promote environmental protection in Cameroon and Besongabang village in particular. 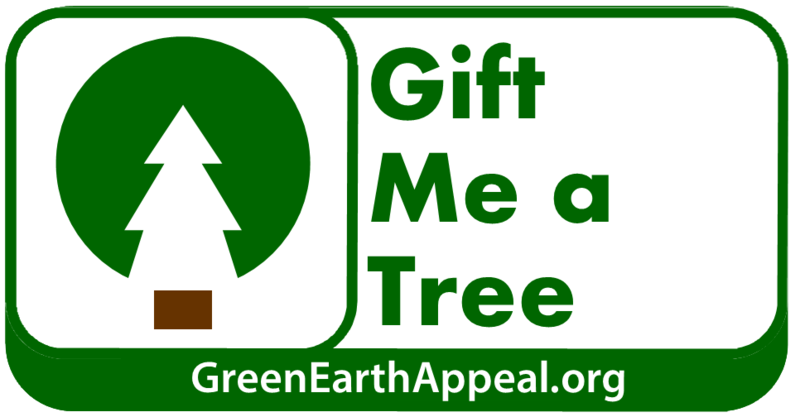 This One-Child-One-Tree project is intended to launch a drive that will empower children to learn more and appreciate the environment, to learn how to utilize it while protecting it. Individual children will be provided with the resources for planting trees and receive training workshops and ongoing education to ensure the sustainability of the project outcomes. The major approach of this project is Education, Information and Communication (EIC) on the one hand and active participation on the other. It will also involve activities that will aim at leaving a “green mark” on Besongabang Football for Hope Centre’s landscape and Mamfe municipality. This project will make a real contribution towards our priorities of greening, natural resource protection, environmental enhancement, sustainable and child participation based on economic motivation and awareness. This project will also contribute to national priorities regarding environmental conservation. Boosting tree planting will be a key cornerstone to green the environment. 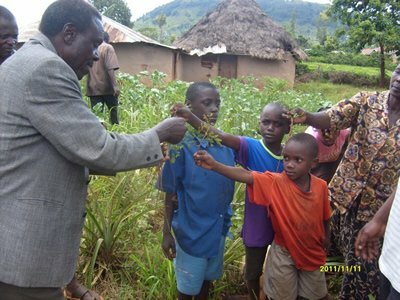 To promote participatory micro-interventions based on individual children for environmental conservation and protection. To engage children in landscaping and tree planting. To equip children with knowledge and skills on environmental protection and preservation and how to use the environment profitably while protecting it. To increase the green cover in the Football for Hope Centre by undertaking tree planting in the compound. To create and promote self-sustaining environmentalism/clubs in the centre. The centre will be equipped with nursery beds. Children of the neighbouring primary schools will be mentored. Ten thousand trees will be planted within the area of coverage and Mamfe town. Environmental youth clubs will be established in the centre. The project will primarily target children. The overall idea underlying this project is to enhance children’s awareness, knowledge, and skills to help them make informed decisions that affect environmental quality. The project is designed to empower children, educating them to become independent eco-learners and instruments of sustainable change. The children will play an integral part in helping to achieve the objectives of the project. The ultimate output to be achieved at the end of its implementation is that children will be empowered with knowledge and motivation to be good environmental stewards and that at least 10,000 trees will have been planted in the centre and Mamfe town. Considering that currently, the children do not own resources of their own to cultivate the land on which to grow trees, the general community will need to acquire these resources in order that the children can start their project on the designated land. The project will promote a greater appreciation of environmental protection and management, that is, focusing on the centre environment and surrounding area. This will be the main project activity and will be crowned with two months’ workshop and planting of trees by children. The workshop will be conducted by project staff at the centre where children will receive formal education about the environment. 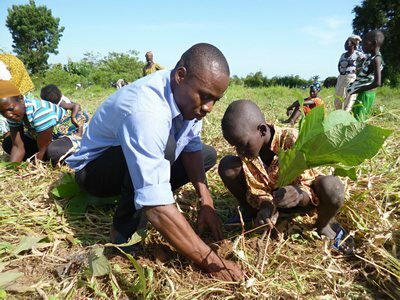 Children will be encouraged to form small groups/teams of five people which can together pursue tree planting around the centre, village and Mamfe town. The children will also be encouraged to form environment Clubs to coordinate the activities of the different groups/teams and to liaise with the centre management. The major objective of these groups will be to seek answers for the question: “How green is the centre yard and our immediate environment?”, “How can we keep it greener?” The children will be encouraged to liaise with centre management, village traditional councils and Mamfe Municipal Authorities to find bigger space to plant trees. UAC has signed a convention with the Mamfe Municipal Authorities on Solid Waste Management in the Municipalities. Two months sensitisation and workshop will be held for children to inform them on the role of trees on environmental conservation. 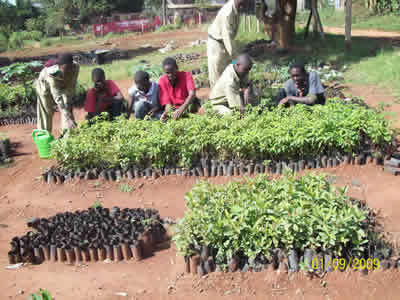 Children will be provided with hands-on training in tree planting and management. ‘A child who finds difficulties in growing trees will find difficulties in destroying them’.